Depending on where the interlock control system is used, it may be necessary to protect single or even all doors by an access control from unauthorized access. 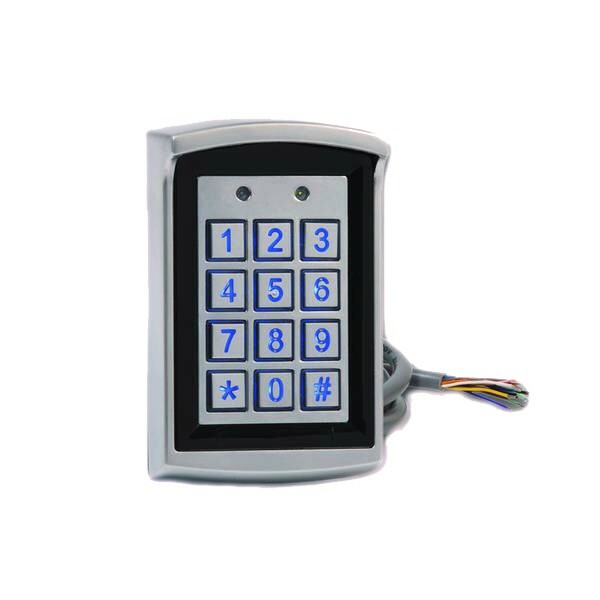 For this purpose DICTATOR offers in addition to the RFID terminals of the interlock control system a compact access control system which can easily be combined with the interlock control system. The access control functions with 24 VDC and can be energized by the power pack of the interlock control system. The system has the IP rating 65 and is available in stainless steel. Therefore, it also can be used in clean rooms. The access control system KR1000 is completely made from stainless steel. It can be operated with 12 or 24 VDC/AC. The access control is possible either by PIN or by card.